I keep hearing that short form fiction is dying out but I am one of the people who loves a good short story and this book was full of them. The authors have this tremendous ability to create a strong sense of place in very few words. Most of the stories are set in and around Swansea and it felt very familiar to me – almost like Glasgow. The housing estate blanketed in snow, the run-down blocks of flats, the tired street that needs to be demolished. I was very quickly rooted in these places and the ordinariness of the setting really highlighted the horror of the supernatural events. The Winter Hunt speaks of the quiet despair of someone trapped in a life that they neither wanted nor enjoy. The poverty, alcoholism and responsibility to family is almost as horrifying as the hunt itself. Lullaby was my personal favourite although I found it sad more than frightening. Perhaps that says more about me than the story! A man is desperately trying to hold himself together and care for his baby daughter while mourning the loss of his wife to post-natal depression and being haunted by her. Last Day, while frightening, ended on a note of hope that is unusual in the genre and as a result will likely stay with me for some time to come. Throughout all of the stories, the writing is smooth and, in places, elegant. The descriptions are powerful and evocative of a place and time. For me, the greatest strength was the emotion and depth of character that the authors managed to convey in such a short space. 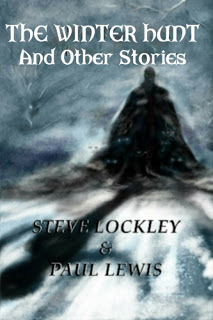 This book contains a demonstration of what is best about short fiction and I recommend it to any horror fan.